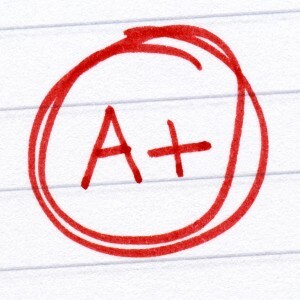 A weighted GPA is an overrated GPA. Yes, overrated. We said it. You know how some things in life are overrated? Well, count a weighted GPA among them. Weighted GPAs are overrated and overhyped. If we hear that a student has a 4.6 GPA, the parent who tells us about this grade point average might think it’s impressing us but, in reality, we have no idea what a 4.6 means. Some schools grade on a 4.0 scale. Some schools grade on a scale out of 100%. We’ve seen a school that grades on a 15.0 scale. Hey, it’s just as weird to us as a 4.6. Yes, we’re looking at you with your 4.4, too. For those folks not familiar with what a weighted GPA is, some schools assign extra power to grades from courses that are at the advanced rather than regular level. Maybe it’s an AP Biology course or an AP U.S. History course. Or maybe it’s an Advanced Algebra course. You get the idea. The problem with a weighted GPA is that college admissions officers at highly selective colleges don’t really understand it. They either have to ignore the GPA entirely and only examine the coursework and grades or they may recalculate the GPA on an unweighted scale. This way, they can then compare the unweighted GPA to the unweighted GPAs of other applicants from other high schools (since every high school is different). They can level the playing field so apples and bananas aren’t being compared. Yes, we know the expression is supposed to be apples and oranges, but we dare to mix things up. Deal with it. We always encourage students with weighted GPAs to do the recalculation themselves just so they have an understanding of where they stand in the admissions process on this factor alone. Because a weighted GPA can mislead students to apply to schools that may be unlikely stretches (schools they’ll have a really difficult time getting into). So figure out your unweighted GPA. There’s so much hype about weighted GPAs but it’s just that…hype. Like with Greg Oden. Don’t know him? He was a basketball player who was drafted with the #1 NBA pick some years ago. He ended up being one of the biggest busts in NBA history. Perhaps the NBA should have recalculated his GPA. It was obviously weighted. Ok, we’ll own it. That was an absolutely terrible analogy. Maybe we can weight it to improve it? We’ll stop there. While you’re here, read about the Ivy League Academic Index. Weighted vs. Unweighted GPA: Is There an Advantage? I am at kenyatta university school of engieering. How do you get GPA for computer sciences?